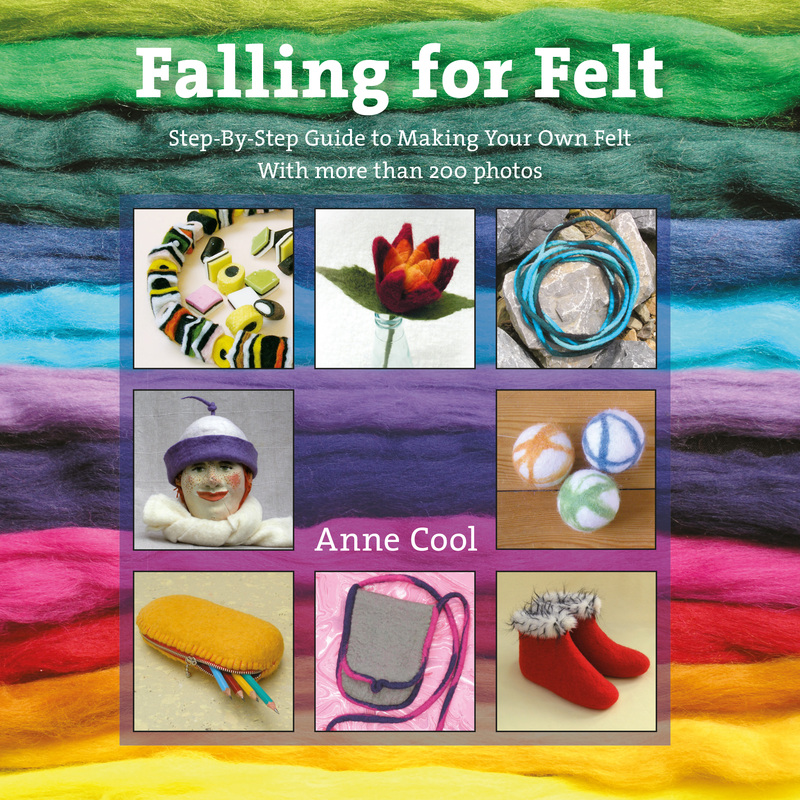 ‘Falling for Felt’ is a step-by-step instruction book all about making felt. It is ideal for beginners as well as more experienced felters, who are now searching for new inspiration and novel ideas. With this book, containing numerous photos and clear instructions, you will be able to start on one of the felt projects immediately. There are plenty of examples of simple projects you can do with children at home or at school, such as bracelets, balls, baby bootees and a felt painting, to mention just a few. But that is not all! 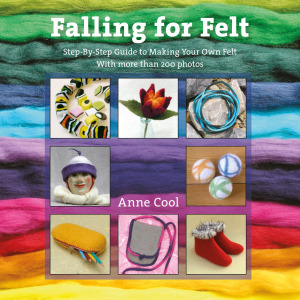 This book also contains exciting projects that offer a challenge to more experienced felters projects, such as a small bag, a beret, slippers, woollen hats and a host of others. Making felt is and remains an endlessly fascinating technique. And this is something that more and more people are discovering. They are … captivated by the material, they become … infected by the felt virus and they … become hooked on the technique. Nowadays, there are not only felting technique workshops and felt supply stores, but also felt symposiums, magazines on felting techniques, as well as scores of felt exhibitions! Well, it is obvious, isn’t it? Everybody is falling for felt! And that is not at all surprising. After all, it is such great fun to do and, what’s more, everybody is able to do it.